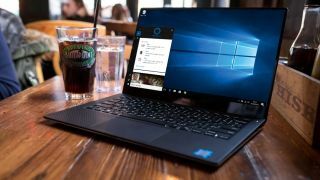 Windows 10 hasn’t seen a new preview for quite some time now – in fact it’s been just over a month, December 7 to be precise – but Microsoft has cleared up why there’s been a delay, and assured testers that a new build is about to drop. Dona Sarkar, who heads up the Windows Insider Program, had previously promised more transparency when a build was held back for whatever reason. And she made it quite clear that the cause of this particular delay was a serious issue with the incoming build whereby it could potentially force testers to reinstall Windows 10 – which is obviously very bad news (even for Fast Ring testers who expect to encounter some problems). The good news is that apparently the problem has now been resolved, and a fresh build has been tested which doesn’t crash and burn the OS. Indeed, it seems that build 15002 will emerge this week, quite possibly earlier rather than later. Fingers crossed on that score, as it’s allegedly going to bring some interesting changes which include tweaks to prevent drivers from being updated automatically by Windows – definitely a useful touch for those occasions when new drivers break things (although updates can do that, too).